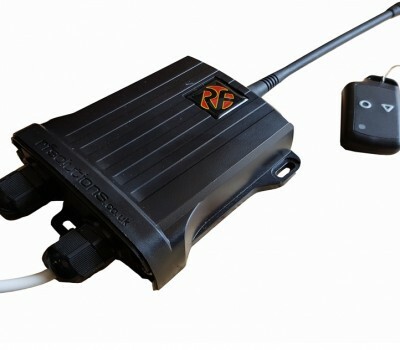 Geovista supply as standard a wireless winch remote with its 500 series winches. It is a great way to control the winch when rigging up/down or when you need to be closer to the borehole then the winch control unit. Contact us if you need another wireless remote.